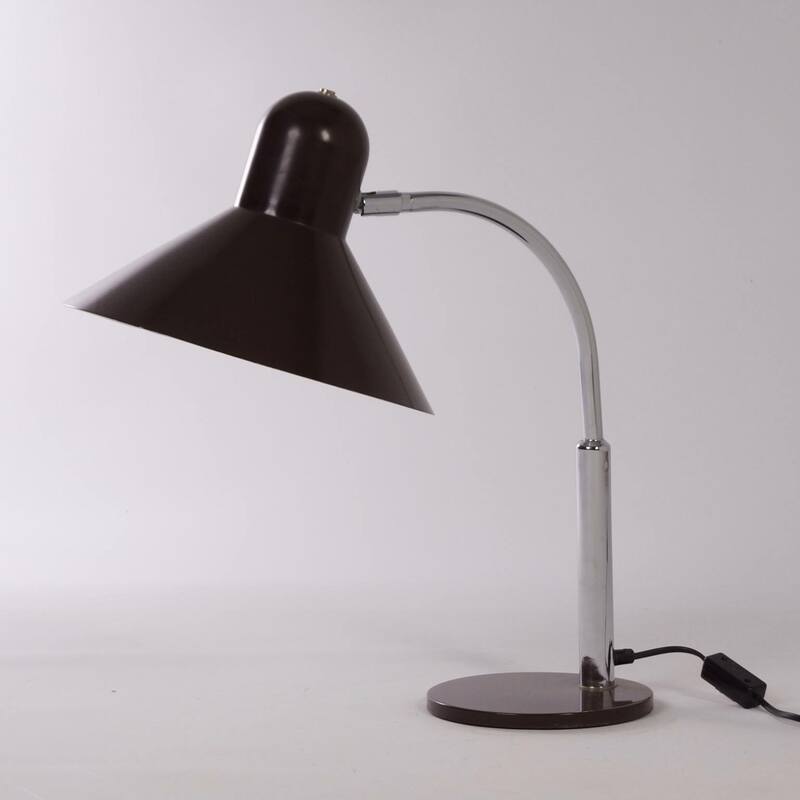 Original Hala desk lamp made in the Seventies with a electric switch in the wire. 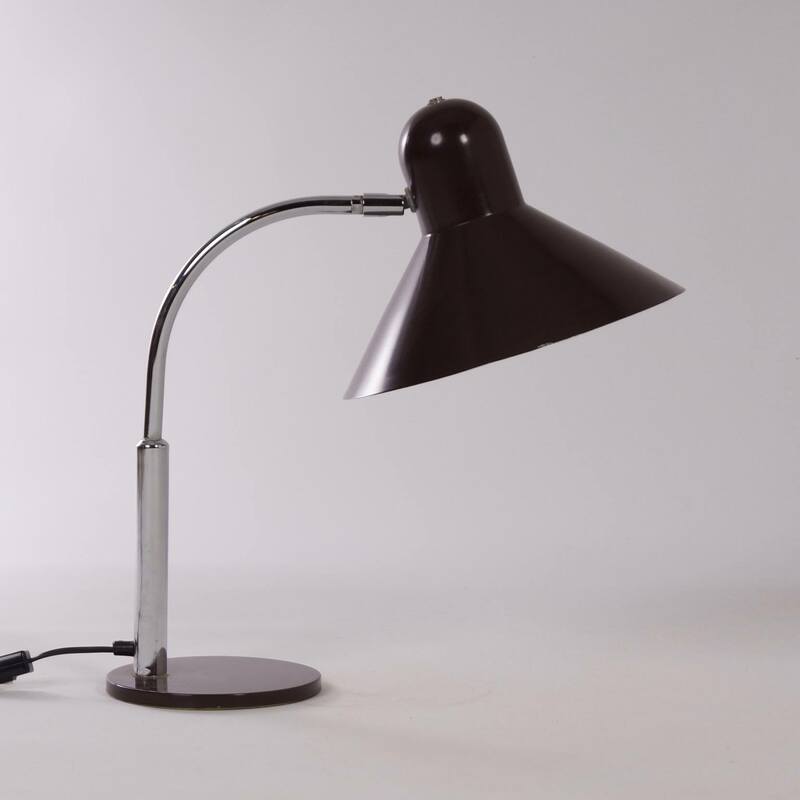 This lamp looks a lot like the Hala desk lamp (model 144) designed by H.Th.A. Busquet, only the cap is different. The cap is adjustable. The lamp contains a normal European scew bulb holder (E27). Also suitable for a CFL or LED bulb. Measurements: h x b x d = 50 x 46 x 30 (diameter cap) cm. 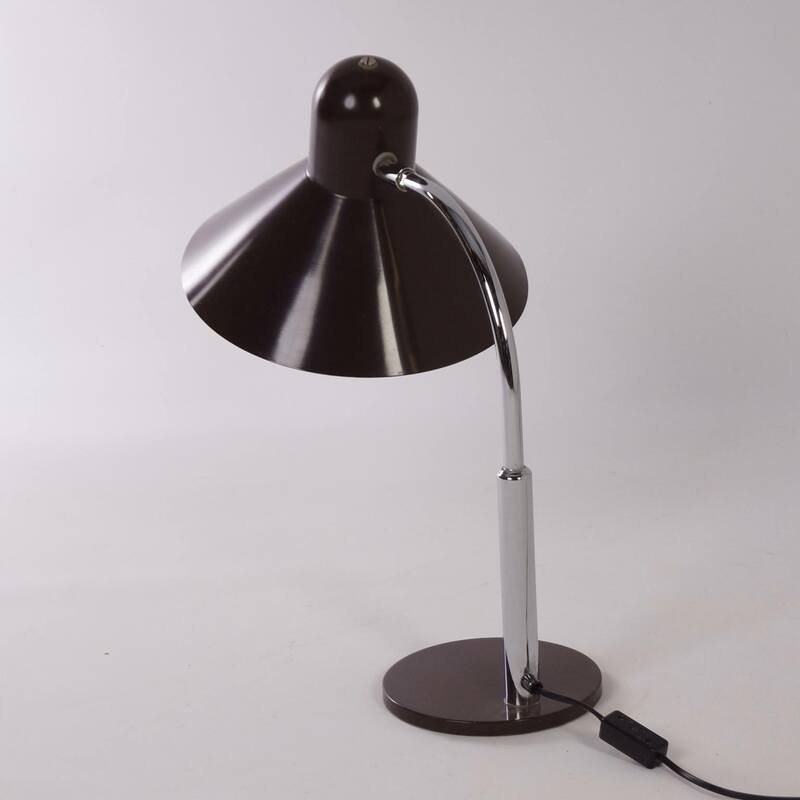 Material: laquered metal. Colour: brown on the outside, white inside. 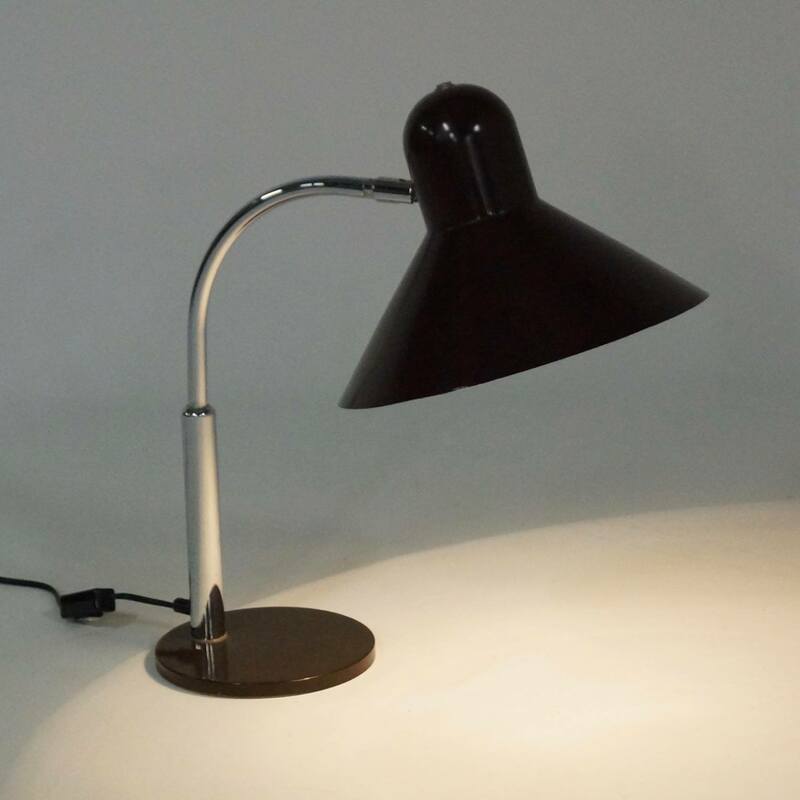 Condition: very good, wear consistent with age and use; the lamp has been cleaned and the wiring has been checked by an electrician.